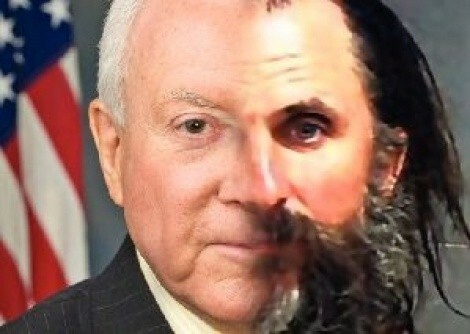 Eight eerie similarities between accused kidnapper Brian David Mitchell and Utah Sen. Orrin Hatch. 8. Brian David Mitchell sings religious songs that annoy courtrooms; Orrin Hatch writes and records religious songs that annoy everyone. 7. Mitchell seems to be preoccupied with young girls; Hatch seems to be preoccupied with young girls' reproductive rights. 6. Mitchell's book is a self-aggrandizing memoir that´s been read by dozens; Hatch's book is a self-aggrandizing memoir that´s been read by hundreds. 5. Mitchell believes marriage should be between a man and several women; Hatch doesn't not believe marriage should be between a man and several women. 4. Mitchell is not allowed shoelaces; Hatch only wears loafers. 3. Mitchell was featured on America's Most Wanted; Hatch is still waiting for a reply from America's Got Talent. 2. Mitchell believes he'll battle the Antichrist; Hatch believes he'll battle President Antichrist. 1. Mitchell's competency has been in question for weeks; Hatch's competency has been in question for decades.